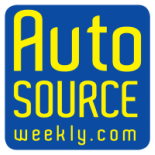 Auto Source Weekly is now offering ad placements for your personal car. We will create an ad just for you to help you sell your car. We will respond back with payment options and how to submit photos of your vehicle. Deadline is Tuesday by 5:00 p.m. for Friday's issue.